We first happened across this amazing Norton Commando eight months ago. 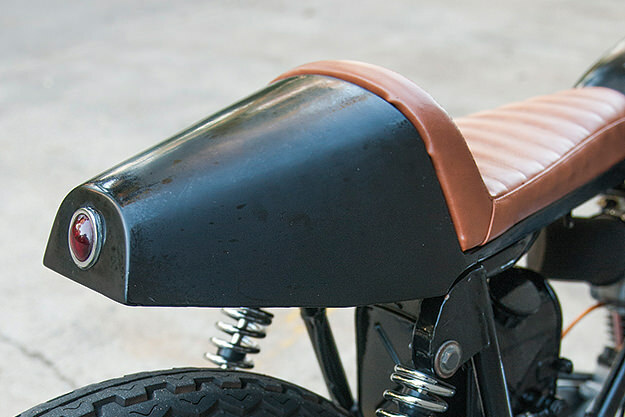 It’s now gracing the pages of Tank Moto, a super-stylish magazine from the publishers of Fuel Magazine. 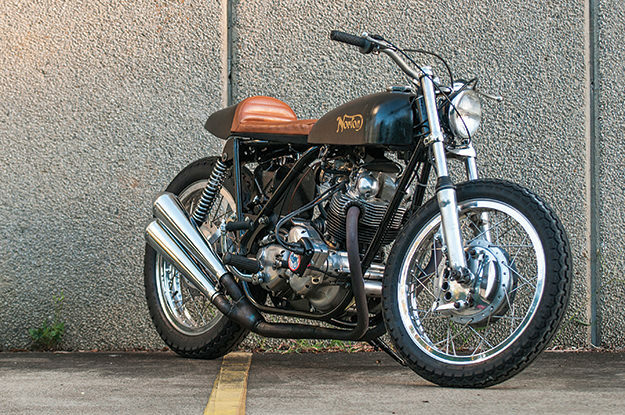 When I first saw this 1969 Norton, I’d have bet big money that it was from one of the established Japanese workshops. But it’s from my old backyard—Sydney, Australia. Damian Bombardiere bought his Commando on the cheap from eBay three years ago. 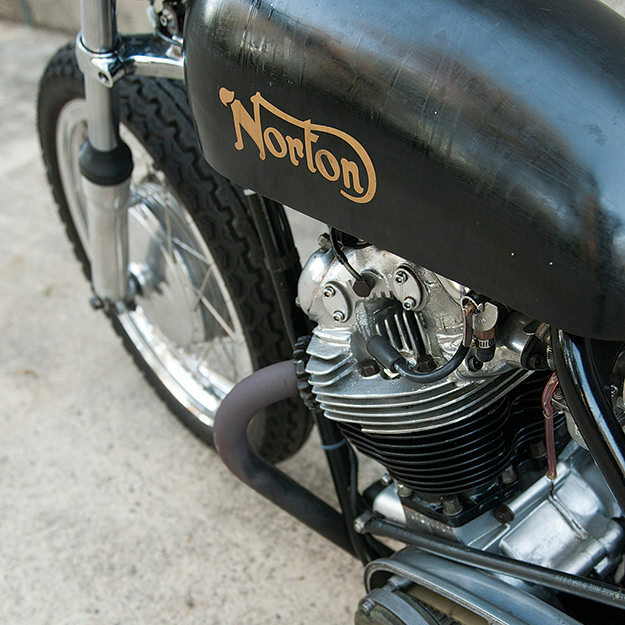 “The seller mentioned a bottom-end noise, but I found it was simply a loose tappet.” With non-matching numbers and a bizarre stepped backbone frame—perhaps to suit a short rider—Damian rode the Norton for a year while debating what to do with it. 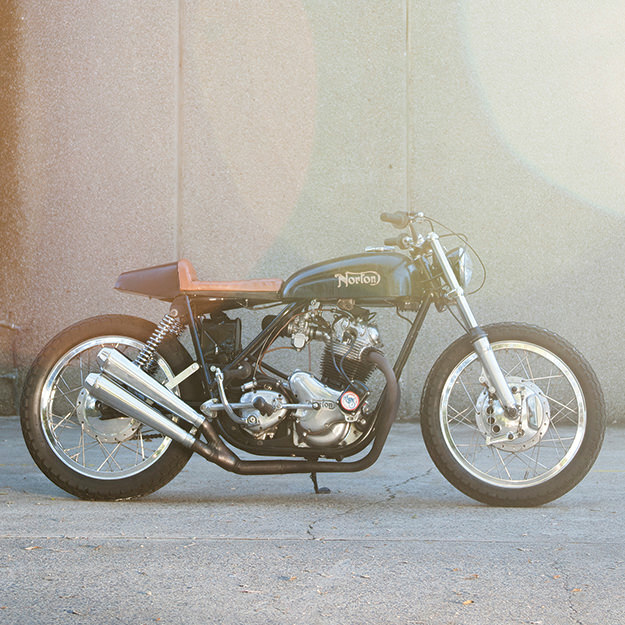 “I decided to create a street track-dirt track-cafe racer hybrid. And after a year of building, here we have it.” Damian ditched the frame and picked up a stock frame with the rear loop already cut out. He narrowed and shortened the new frame, rebuilt and shortened the forks, and reinstalled the motor. The engine seemed in good condition, so Damian just ground the valves and added a Joe Hunt magneto. But since then, a cam follower has disintegrated and destroyed the internals. “A bottom end rebuild was in order, so I called on JS Motorsport,” he says. Damian also added lightened pistons, Carillo rods and a Stage 1 race cam. By the time he’d finished, he’d added a bucketload of extra power and shaved off around 12 kg in weight. The headers are from BUB, and Damian converted the carburetion to a single Mikuni. There’s a Sparx capacitor with a hidden battery in the seat cowl to handle lighting duties. 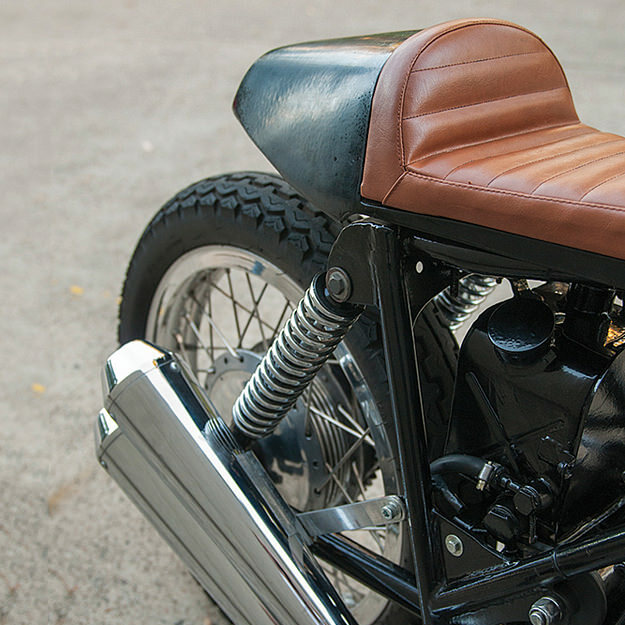 The pan and cowl are custom, upholstered by Damian’s wife, and new alloy rims complete the build. The only work that was outsourced was a rewire, done by Matt Joyce. It’s a simple build, when compared to many customs. 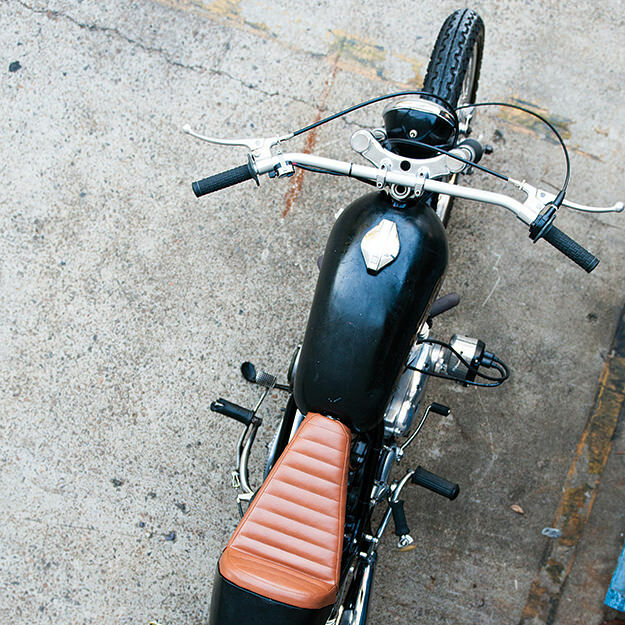 But sometimes simple is best—and this is one of the best Nortons we’ve seen for a long time.